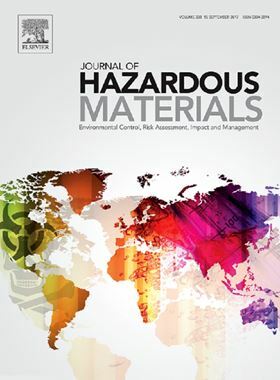 The research article 'Efficient removal of zinc from water and wastewater effluents by hydroxylated and carboxylated carbon nanotube membranes: Behaviors and mechanisms of dynamic filtration' has been published in Elsevier's Journal of Hazardous Materials (Volume 365, 5 March 2019, Pages 64-73). In this work, a bench scale study was designed to investigate the removal of zinc (Zn2+) and regeneration efficiencies of functionalized-MWCNT (f-MWCNT) membranes. The f-MWCNTs were incorporated into polyvinylchloride (PVC) hollow fiber membranes (HFMs), which acted as a substrate and a barrier for MWCNTs leaching to water. The results revealed that the removal capacity of Zn2+ through f-CNT membranes were above 98% for the synthetic water and over 70% for real wastewater effluents; predominantly involved surface complexation reaction. The acquired removal efficiency of CNT membrane is attributed to high absolute zeta potential followed by the hydrophilicity of the nanotubes coated the inside surface of HFMs and high concentration of oxygen functional groups on CNT surfaces. Later on, different regenerating solutions were used to desorb Zn2+ ions repeatedly from the inner surface of membranes and to recycle the CNT membranes for continuous removal of Zn2+ from water. The XPS analysis revealed that, Zn2+ ions were completely recovered owing to the ion exchange interactions. The results further confirmed that f-CNT membranes retained their original removal capacity after several successive cycles. Therefore, we recommend that, f-CNTs-based membranes have the potential to be used for large-scale removal and recovery of heavy metal ions from water or wastewater. GO membranes could decrease system mass and increase crew member count onboard the International Space Station.